Intelligent, persuasive, and experienced; those words describe Adam Stout. When he takes on a case, Adam embraces that challenge with relentless effort and determination. These things have sharpened him into a formidable opponent, and a highly skilled attorney. Charges for Driving Under the Influence, or DUI, have a range of serious consequences, and Florida has some of the toughest DUI laws in the country. If you’ve been charged with a DUI or DUI-related offense, it’s important to call Gainesville DUI lawyer Adam Stout as soon as possible. He is a criminal defense attorney who specializes in defending clients accused of DUI. Adam will provide you with an assessment of your case, help reduce the impact of a DUI charge on your life, and he will aggressively defend you in court. Following an arrest, you will be asked to give a blood, breath or urine test in order to collect evidence against you. You have the right to refuse to take these tests. If you comply and your blood alcohol content (as referred to as BAC), is 0.08% or higher, the Florida DMV will suspend your license for a period of 6 months or longer. If you choose to refuse testing, your license will be automatically suspended for a period of 12 months or longer. These administrative suspensions can be challenged, but you only have 10 days following your arrest to file the necessary appeal to contest the suspension. Between the filing of the appeal and the administrative hearing, you will be issued a temporary driving permit so you can drive to and from work and school. This is one of the many reasons why it is imperative that you contact a DUI attorney in Gainesville, FL immediately following your arrest. This is not like the “check engine” light on your automobile; safeguard your freedoms and take action now. The consequences of a DUI vary greatly depending on the type of conviction. With every additional charge within a certain period of time, the severity of penalties increases. In Florida, your first and second convictions are considered misdemeanors, and any following charges may be classified as felonies. Typically, DUIs require an additional court-ordered license suspension, a fine of $500 or greater, DUI school, 10-day impoundment of your vehicle and community service. The precise amount required for each penalty will depend on the number of DUIs you have been charged with previously and how much time elapsed between the charges. Arrested? You’re Going to Need a Stout Defense! Adam Stout is a criminal defense attorney serving Gainesville, Florida and the surrounding areas including Alachua, Bradford, Gilchrist, Levy and Marion counties. Being a former prosecutor, Adam has spent thousands of hours inside the courtroom. He knows that environment, how it works, and how to win a jury trial. Whether you’ve been charged with your first, second, or third DUI, Adam has the skill and tenacity to mount an aggressive and compelling defense on your behalf. Act now and obtain your free consultation with Adam over the phone. He can be reached any day of the week, no matter the hour. At Stout Defense, P.A., you will never have to jump through hoops to speak to an attorney. Adam personally handles every case from beginning to end, and every client is given his cellphone number to stay up-to-date on the status of the case. If you want to minimize the impact a DUI charge can have on your life, contact us at Stout Defense, P.A. immediately. There are a variety of reasonable defenses Adam Stout, as an experienced Gainesville DUI defense attorney, can use to reduce or dismiss your conviction. One bad decision can lead to a life of dire consequences. If this happens to you, speak to an attorney right away. Adam Stout of Stout Defense, P.A. is ready to help you when you’ve been charged with a DUI. Have you been charged with a DUI or DWI? Stout Defense, P.A. can answer all of your questions and guide you through the process of Florida DUI offenses. Is a DUI considered a misdemeanor or felony? Typically, first-time DUIs are considered misdemeanors. However, if the DUI resulted in serious physical injuries or death, a first time offense can be classified as a felony. Additionally, if a driver has two or more misdemeanors within the past 10 years, it will be considered a felony. Is a DWI considered a misdemeanor or felony? DUI stands for driving under the influence while DWI stands for driving while intoxicated. While some states may consider the two charges as separate offenses, in Florida, they are interchangeable. Therefore, the severity of a DWI will be the same as that of a DUI. If I have been charged with a DWI, will my license be suspended? Any DUI charge will result in a license suspension. For a first-time offense, your license will be suspended for 180 days to one year. If a second conviction occurs within five years of your last charge, your license will be suspended for five years. A third conviction results in a 10 year suspension. Do DUI charges result in a revoked license? For first, second and third convictions, your license will be suspended, however a fourth DUI conviction will result in a permanent revocation. If your conviction classified as either a murder with a motor vehicle or a DUI manslaughter your license will also be permanently revoked. Am I legally allowed to drive if my license has been suspended? No, if you are caught driving while your license is suspended, you can face a range of penalties including jail time, points on your driver’s record, fines, community service and an extension of your suspension. Can I sue a drunk driver in civil court for damages? Yes, your lawsuit will be considered a civil suit and will be separate from any criminal charges they may be facing. With the assistance of a DUI lawyer in Gainesville, FL, you can sue for compensation for physical, financial and emotional damages. What signs of drunk driving do police officers look for on highways? Officers who are looking for intoxicated drivers look for signs of impaired driving such as cars that are driving without headlights, stopping for no reason, moving too slowly or quickly, and are unable to drive in a straight line. How do I respond if a police officer asks me if I’ve been drinking after he/she pulls me over? What you say to a police officer on the side of the road can be used against you in court. Your first option is to remain silent when the officer asks you if you have been drinking. It is important to remember that under the Constitution, you have a right against self-incrimination. You can also choose to be honest. Where appropriate and true, you can tell the officer if you had one or two drinks and at the what time you had them. If they are spaced apart adequately, the officer will not necessarily hold it against you. The worst thing you can do is lie. A jury will not look favorably upon drivers who claimed to only have had one or two drinks when they actually had five drinks. If the officer asks me to take a field sobriety test, should I say yes or no? Although Florida law imposes legal ramifications if you refuse to submit to a breath test, you are not under any obligation to complete a field sobriety test and there are no criminal penalties for refusing to take the test. Field sobriety tests can be heavily impacted by the slightest bit of nervousness from being stopped. Your attire, especially the type of shoes you wear, can also impact how successfully you complete a field sobriety test. Nevertheless, the police officer will likely consider your refusal as an indicative of a guilt. As a result, if you seriously believe you can perform the tasks correctly and competently, it may benefit you to perform the field sobriety exercises. If you do well, your results can be used by your DUI attorney as evidence that you were not, in fact, under the influence. However, if you feel you can’t perform these tasks, it’s in your favor to refuse. While the officer is detaining me on the side of the road, what is he/she looking for? During an initial detention, the police officer is looking for signs of intoxication including, slurred speech, traces of alcohol on your breath, red eyes, clumsy movements, inability to stand up straight, failure to understand and respond to officer’s questions, and a flushed face. What do I do once I am released from jail for a DUI? After you are get out of jail, the most important thing to do is to contact a DUI defense attorney. With the assistance of an experienced lawyer, you will have the highest chances of fighting your conviction or lowering the consequences. Keep in mind that you only have 10 days after your arrest to contest the administrative suspension of your license or apply for a hardship license. If you fail to do so, your license will automatically be suspended for one year. Is it really necessary to hire an attorney? If you are facing a DWI charge, you are strongly advised to consult a Gainesville criminal defense attorney. 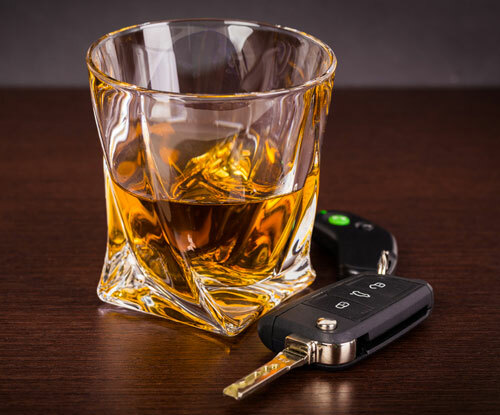 An attorney, who has the necessary past experience with regards to DUIs, will know how which steps to take to get you the best outcome possible, they will advise you on whether to plead guilty or not, and attempt to minimize your sentence. What is the process for reinstating my license after it has been suspended because I refused to take a breath/blood/urine test? Your are given a 10-day permit on the day of the arrest. Once the permit expires you have to serve a 90-day suspension before you are eligible to apply for a hardship license. However you are only able to apply for the hardship license upon the first suspension. You must submit proof of enrollment or completion of specific courses from a DWI school. You have 90 days from reinstatement to complete it, otherwise your driver's license will be cancelled until you can provide proof of completion to the driver license office. At the time of reinstatement, you will have to take the required examination, provide proof of the compulsory coverage of bodily injury liability insurance and pay all accumulated fees including an administrative fee, license fee and a suspension reinstatement fee. What could happen to my driver’s license and what consequences can I receive in criminal court after a DUI charge? For misdemeanor charges, your license will be suspended for varying periods of time but for felonies, your license may be permanently revoked. The severity of the penalties you may receive in criminal court will be dependent on the number of DWI charges on your record. Most offenders may receive fines, probation, mandatory DUI School and have their car impounded; others may also be required to complete community service or spend time in jail. "Adam, saved me points on my license, It was all done with one phone call and he took care of the rest." Share This Review: – D.H.
"Adam took the time to break down everything. He explained every situation and angle with my traffic case to me. He made me feel extremely comfortable with the situation. I'm very pleased with the out come. I definitely will be referring Adam to everyone : ) thank you again Adam Stout!!!" Share This Review: – S.P.